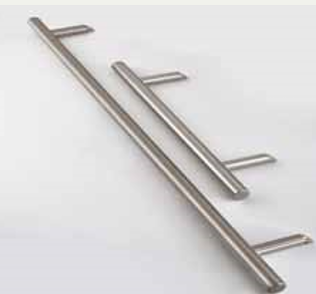 Pull Handles in Stainless or Satin Steel - DGS Group Plc. Stainless Steel Handles suite perfectly with other products in the Stainless Steel range, offering an upmarket, modern handle. 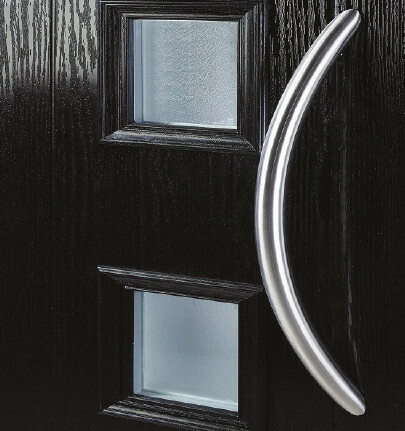 The Contemporary Handles are manufactured in 316 stainless steel and deliver outstanding product performance. Suites with the brushed stainless steel. Available in two size options, 625mm and 1200mm. 25-year anti-corrosion guarantee &10-year mechanical guarantee. Produced from minimum 1.2mm tube thickness on main T Bar and on Pegs.